Water is my biggest concern at my site, because I have to either go to the river and carry water uphill and back to my house or take the wheelbarrow across the street to a tap about five minutes away. The river water looks clean. The pump water is visibly dirty. Which would you choose? Yes, that pump is a WASH failure because my bosisi still choose the river. I choose the pump because I can’t carry 20 liters of water on my head from the river. I do sometimes get to use the cleaner-looking water depending on what my family has stored and whether or not they allow me to work for my water. Hence my dirty water filter. 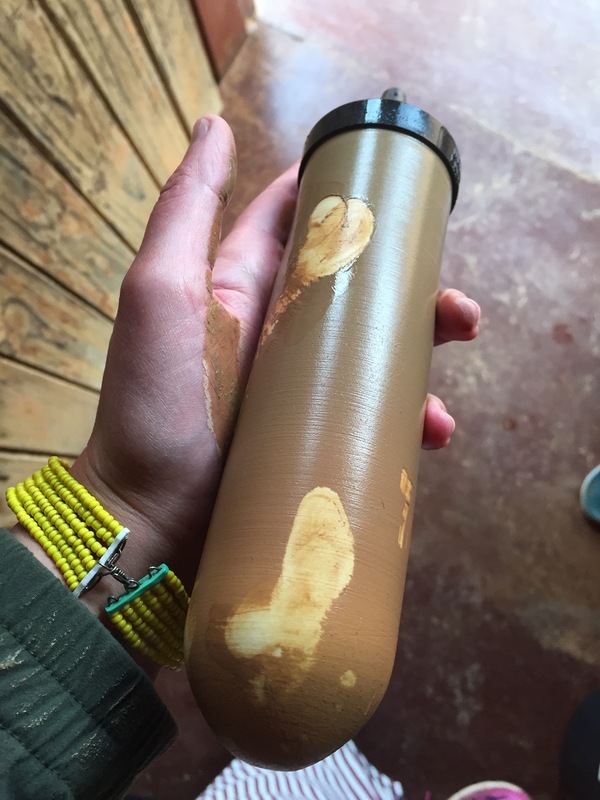 All volunteers and trainees in Swaziland have a water filter that is usually plastic and has clean water storage on the bottom and unfiltered on the top. There are two ceramic “candles” that are filled with charcoal that do the cleaning. The ceramic is porous and collects the dirt from the water on its outside, and then after passing through the charcoal, the water drips into the storage space. We were told to clean the candles once they were dirty to speed up the filtering process. I expected this to occur every couple of weeks or so. My family uses this dirty water for everything, including cooking the food I eat with them. This is how people live here, and this is why I am here. This entry was posted in Africa, Life, Peace Corps, Wednesday photo and tagged Africa, Life, Peace Corps, Peace Corps Volunteer, Swaziland, WASH, Water. Bookmark the permalink. Hope the filter works well. We used to use iodine in our water and eventually got use to the taste.Looking forward to more posts. We also have to either boil or bleach. Iodine tablets are our backup.